Level Up! Inc. and IP E-Game Ventures (E-Games) joined force for the biggest online gaming business in the country. The two companies approved from each deals but it was not fully specified. E-Games agree to transfer select titles to Level Up! While Level Up! will give the equity stake and cash consideration to E-Games. 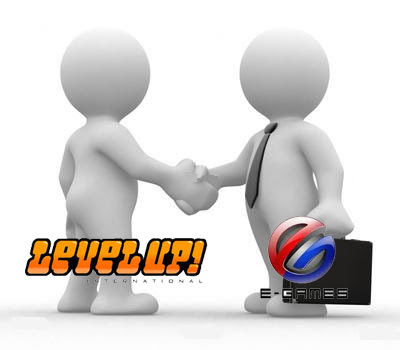 This deal between E-Games and Level Up! was approved by stockholders on their special meeting last March 22, 2012. E-Games said in a disclosure to the stock exchange, "Combining the gaming business of both E-Games and Level Up will result in the largest gaming business in the Philippines with over 37 million registered users and over 5 million active users per month." These are the published online games from Level Up! and E-Games. E-Games said, "The transaction is expected to transform the landscape of Philippine online gaming industry. Both parties anticipate that the transaction will generate improved earnings for the combined business in the short and long term." But even the merger done between the two companies, E-Games will keep its subsidiary company called, X-Play Online Games Inc.
X-Play is a game publishing arm of E-Games, the company focus is on sport genre games and developers Triple A games. FYI! E-Games is listed as online gaming subsidiary of IP Ventures Inc. Comments or suggestions about "Level Up! and E-Games Combined" is important to us, you may share it by using the comment box below.